In this week’s Lech Lecha, God, seemingly arbitrarily, calls out to Abram (whose name had not yet been changed to Abraham) to leave his land, his relatives, and his father’s house and go to the land that God will show him. After calling out to Abram, God continues to say to him (Genesis 12:2-3) that He will make Abram into a great nation, He will bless him, and make his name great. He will bless those who bless Abram, and those who curse Abram, God will curse, and all the families of the earth shall bless themselves by Abram. Why God specifically calls Abram, seems to be a mystery. When Noah finds favor in God’s eyes, the Torah (Genesis 6:9), distinctly states that Noah was “a man, righteous and perfect in his generation,” who “walked with God.” When God chooses Moses at the Burning Bush to lead the people out of Egypt, we already know that Moses had earned a reputation as a champion of his persecuted brethren in Egypt (Exodus 2:12). He had intervened when two Jews were fighting (Exodus 2:13), and had rescued Jethro’s daughters from the shepherds who were harassing them (Exodus 2:17). But what qualifications did Abram have to be chosen? Perhaps the reason lies with the fact that Abram’s father, Terach, was wise enough to see that Mesopotamia (Ur Kasdim) was not a land in which he could effectively raise his children. It was he, Terach, who set out to go to the land of Canaan, but halted on the way, and eventually settled in Haran, where Terach died. Maybe Terach was more of a positive influence on Abram than tradition lets on? However, traditional Biblical sources not only fail to give Terach credit for Abram’s chosenness, they cast Terach in a negative light, accusing Terach of attempting to kill his son Abram. The Maharal, argue that the Torah purposely says nothing about Abram’s special qualities, for which he is chosen. He is chosen simply because God chose him. It is very possible that God saw in Abram special talents that not only could be further developed, but could serve as a paradigm for all his contemporaries and future generations, of what faith and faithfulness should be. Clearly the choice was correct. As Abram was subjected to the ten great tests during his lifetime, he proved, time-after-time, to be a man of special faith. The Maharal proceeds to build a powerful case for the chosenness of the Jewish people, based on the “arbitrary” chosenness of Abram. The Maharal insists that just as the Al-mighty needed no justification for choosing Abram, so the world needs no justification for the chosenness of the Jewish people. After all, it was God Who chose them, apparently because of their special spiritual qualities. This “arbitrary” chosenness, says the Maharal, was not a result of good deeds or prior heroic actions. Abram was chosen simply because of God’s love for him–a chosenness that is beyond human comprehension. Despite the lack of “justification,” only Abram was chosen, along with his children and descendants for all future generations, even though they had not yet been born and had not performed any righteous deeds to deserve to be chosen. 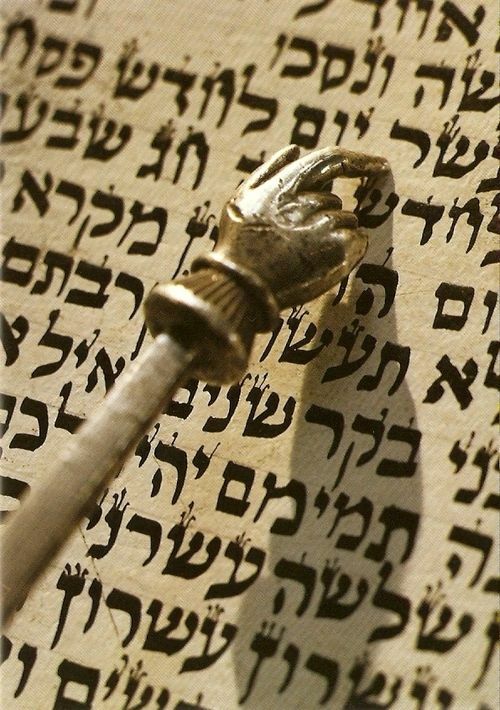 The Torah, argues the Maharal, doesn’t reveal what Abram’s deeds were specifically because he was chosen purely and simply because of God’s love for him and his children. The power of Abram’s response to God’s summons of, לֶךְ לְךָ , “Lech Lecha,” “go for yourself,” reverberates throughout the world to this very day. Once Abram was chosen, it became his responsibility, and that of his children, to listen to the continuing Divine call of “Lech Lecha,” to go for yourself, for your benefit, and for the benefit of the humankind.